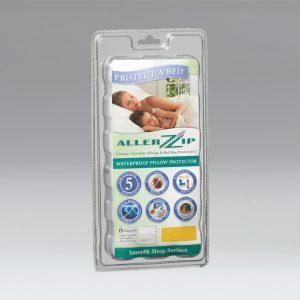 Forget everything you know about protection when it comes to bedwetting products! Could this be the product you've been looking for? If you’ve changed wet linen after a bedwetting accident and you've noticed that everything gets wet then this product is for you! 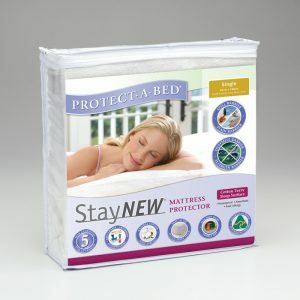 The Up and Under Linen & Mattress Protector is a premium drawsheet style mattress protector with a unique waterproof, breathable top sheet attached. 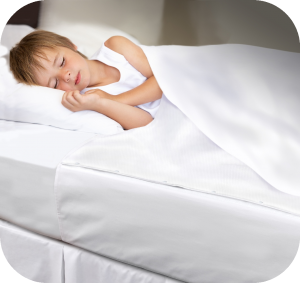 This top sheet creates a barrier to protect all bedding from below and above, eliminating the need to strip and remake the entire bed. This is what sets our product apart from the rest; it delivers a real point of difference from other bedwetting products on the market. Millions of adults experience incontinence and are looking for an easier way to manage what can sometimes be a frustrating and stressful issue in their lives. 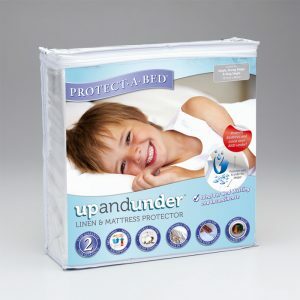 The Up and Under Linen & Mattress Protector with its tuck-in sides and adjustable size press studs can assist in gaining confidence and independence, making clean up and changes quick and easy. 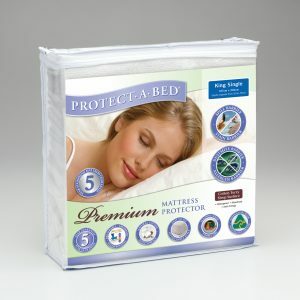 This product fits onto both Single and King Single beds. Click Here for testimonials from our happy customers!